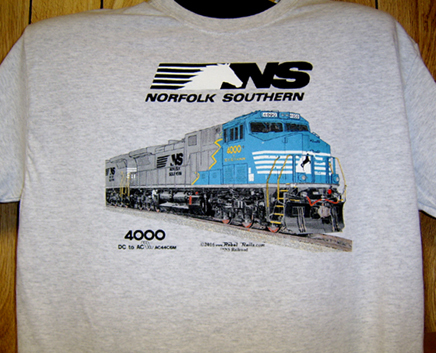 Premium 100% cotton light grey/ash Tee: Presenting Norfolk Southern Railroads NEW 4000 AC44C6M, DC to AC diesel in a totally new color scheme with horse mane flowing behind the cab. Available now. 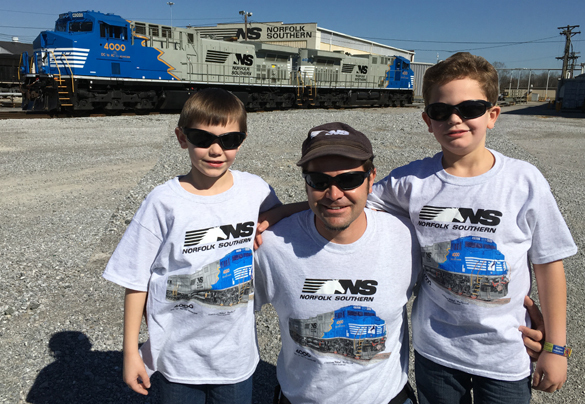 Another smiling railfan family wearing their new NS diesel t-shirts. Click on image for zoom.